Guangdong-born girl, Feng Jiaxi TeamNIII officially graduated from the group since her graduation show which was held yesterday. Previously ahe announced her graduation on January 4, 2019. This graduation was the first in this year for SNH48 GROUP. 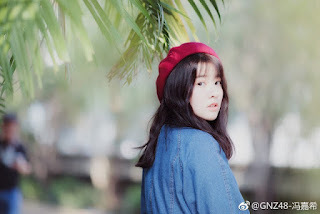 Feng Jiaxi is known for her Cantonese skills and is included in the Cantonese Squad unit which presents the first Cantonese song GNZ48 'Ziging'. Not yet known why she graduated from the group. Jiaxi was one of the members of the SNH48 generation 6 who was sent to Team NIII during the formation of GNZ48.